Marco Bernardi returns with a cool 12" of uplifting deep techno remixed by Mark August and Redshape. 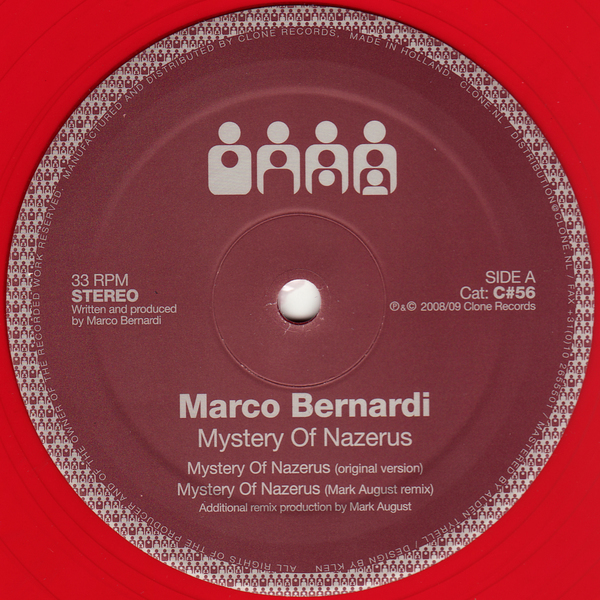 'Mystery Of Nazerus' features Bernardi on top form, working up a sophisticated Detroit techno via Den Haag and Glasgow style that should bring a warm glow to a better techno club near you. Dutch fella Mark August remixes 'Nazerus' into a rippling Chicago burner keeping the sweet old skool IDM electronica melodies firmly intact, before handing over to Redshape who rearranges all the elements into one of those indefinably classic Redshape builders. Classy and effective.